There is no denying that food and nutrition are an integral part of life and essential to health. This year has seen the introduction of a nutrition class and cooking workshop under the umbrella of PSHE classes (Personal Social and Health Education). Proposed to all students and given by BM alum Shehnaz Khan, she conveys her experience and knowledge as a nutritional consultant, marketer and passionate researcher. Having worked in design and communications for almost 20 years, she brings a simple, visual and practical approach to nutrition, highlighting the importance of drinking plenty of pure water, avoiding fad diets and calorie counting. She encourages a healthy approach to eating with a balanced nutrient intake through a variety of colourful foods, rendering students attentive to the addictive aspects of processed salts, refined sugars and unhealthy fats. Gaining a better understanding of food, appreciating the value of drinking plenty of fluids, comprehending the sophisticated nature of the body and knowing how to get a balance of nutrients, are the focus of the class. 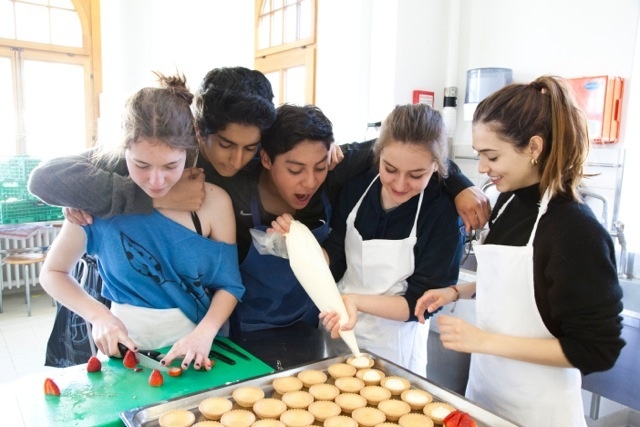 Understanding the impact of food not only on the physical being, but also on the mental and emotional states, helps students gain further insights into their feelings and behaviour towards food. Outside the notion of dieting, the concept of balance and moderation are key. Most teenagers overdose to some extent on sugar, especially as it can feel comforting in times of emotional turmoil and stress, notably during exam periods. Shehnaz’s motivation to propose the course came from personal experience. McDonalds and Coca-Cola are two of the world’s most famous brands and have huge advertising budgets, selling foods that provide fast and cheap caloric energy, but with little to no nutritional value. It is scientifically proven that sugar with caffeine and salt with fat are highly addictive combinations. McDonalds sells an idea of fun and sociability with foods that are heavy in salt, sugar and saturated fats, not at all conducive to health. Students are made aware of these aspects of the food industry so that they can make more informed and conscious decisions. The idea is to bring awareness to the students so that they aren’t as susceptible to a billion-dollar food marketing industry that has little regard for the nutritious qualities of their products. Fancy a burger? Well instead of going for McDonalds, how about going to a burger joint that uses only locally sourced ingredients, that respects animal welfare and supports local producers? It’s not about limiting choices, but making better ones. Bringing the aspect of cooking to the class was also important through the workshop. It is essential to show students how to fuse fun and creativity with cooking. The kitchen is a space for experimentation and creative inspiration. There should be no fear of failure in the kitchen! 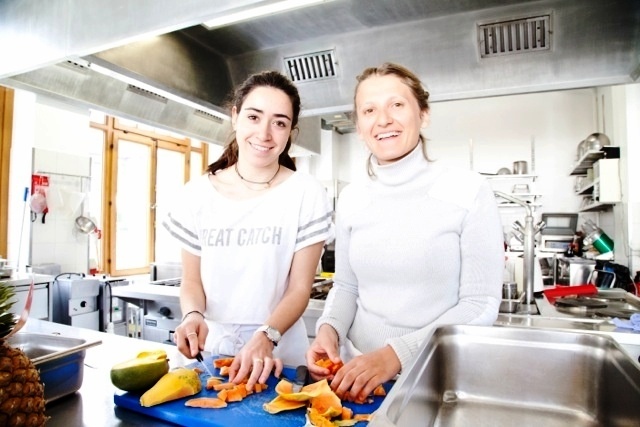 Learning about different cultures and their approaches to food and culinary dishes is an advantage and one that Brillantmont’s international student body encourages and celebrates. In the context of sustainability, acquiring an understanding of health and food are essential to contributing to the collective solutions of feeding an ever-growing population. If we are able to better feed ourselves, our health will benefit greatly, making us more able to contribute to creative problem solving and the collective wellbeing of humanity. From knowing how to read food labels, to understanding the nutrients needed by the body to function optimally, this course provides students with tools to make more informed choices and hopefully help students keep themselves healthier and happier over the years! After all the most important resource we have is our health!